Blessings. I have many. My family is awesome, my kids are perfect (what, yours aren’t??) and I am becoming an Auntie!! I have the BEST clients! And this past week I was honored with an amazing award. 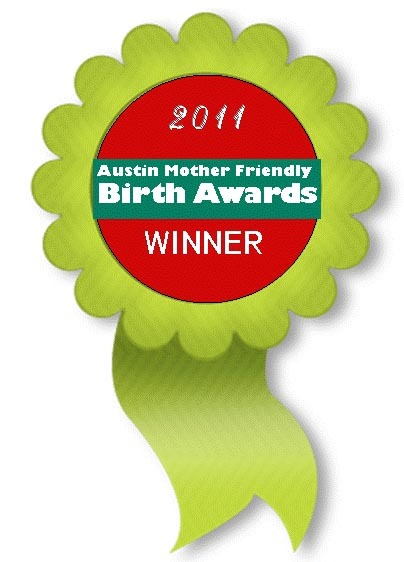 I received “Best Prenatal Photographer” in the “Get Babied” Austin Birth Awards. I love working with mommies-to-be and new babies so much. I’m super excited to see my new nephew tomorrow! PamN - That is such a fantastic deal! There is nothing like a brand-new baby, and that baby DESERVES your custom photography. Parents who choose to use a friend or acquaintance with a “really good camera” are missing out on truly beautiful artwork (not snapshots) that they will never regret. With this deal, there is no reason NOT to have those treasured memories captured forever. I know – I’m a nanna now, and I didn’t have newborn photography readily available when my children were babies. I would do anything to go back in time and have that if I could! Julie - Teri congratulations on your award! Life is good for sure! and I love that you are spreading the goodness with this promotion! Great idea! Sophie Crew - Congrats!! What a great honor! meggan - Congrats Teri! It’s a well deserved award! Your new blog showcases your work beautifully!!! Can’t wait to see what 2012 brings your way! Therese Marie - woo hoo CONGRATS! !